Big apartment, very comfortable! Mr Spiros the owner was very nice and helpful. They offered some snacks every day for free. Lot of space to put ur clothes to dry. We would definitely go there again ! Spacious, bright apartment with a nice view. Reasonable price. Overall a great property at a great price. 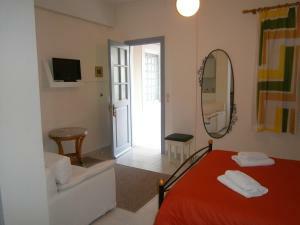 The owner was wonderful, room was clean, a 6 minute walk from the port, and close to everything. Beautiful view, large comfortable room, very nice owner. Friendly staff, going the extra mile for their guests :) The location is central; 10 mins walk to down town Spetses; 15 mins walk to Kaiki beach and many restaurants are close as soon as you reach the water (5 mins walk). Nice view from the terrace to the sea. Host was great. Simple big clean room with new furniture. Excellent place for your holiday. Good location, very good host, comfortable beds. The owner upgraded us to the superior apartment. 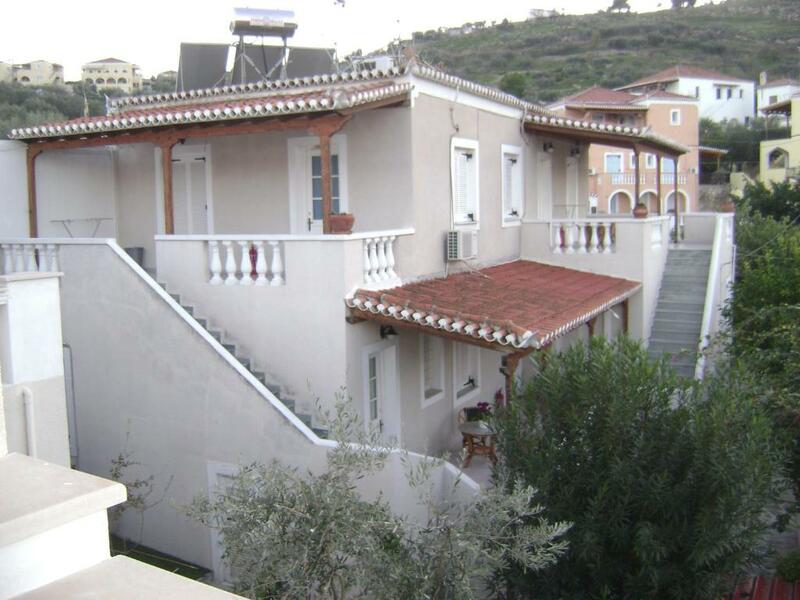 It was a huge 3 bedroom apartment with 3 sun terraces with a view of the sea. Everything was modern and clean. It was a very short walk to the beach and restaurants and cafes. Clean spacious room, with a lovely terrace stunning views of the sea. Host was great, super helpful and friendly. Location was fab, close to a couple of great restaurants and bars... we could not wish for anymore, would recommend time and again. Everything except getting lost on the way there! 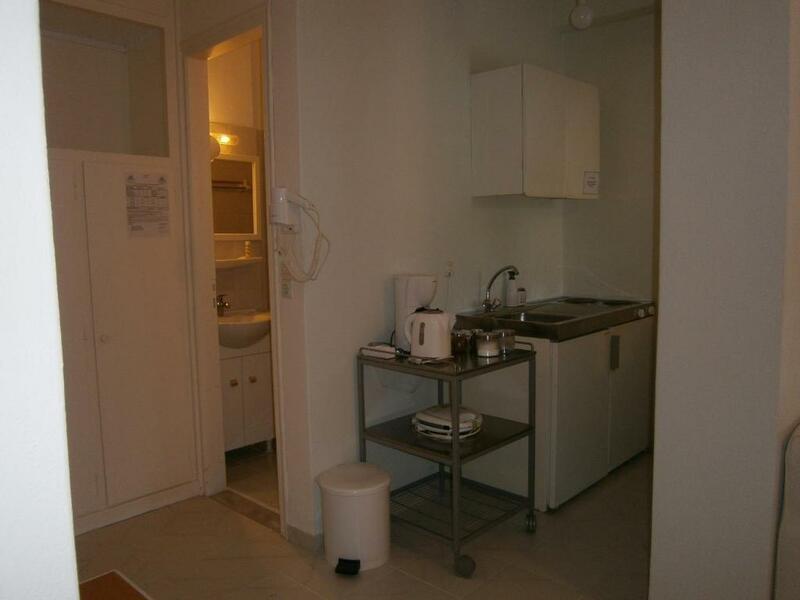 The room was large and well designed, plenty of storage space and a well-equipped kitchen. Water, juice and snacks were replenished daily. The owner was friendly and helpful. 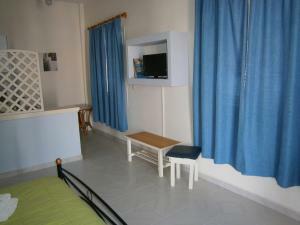 Lock in a great price for Theo Studios – rated 9.3 by recent guests! 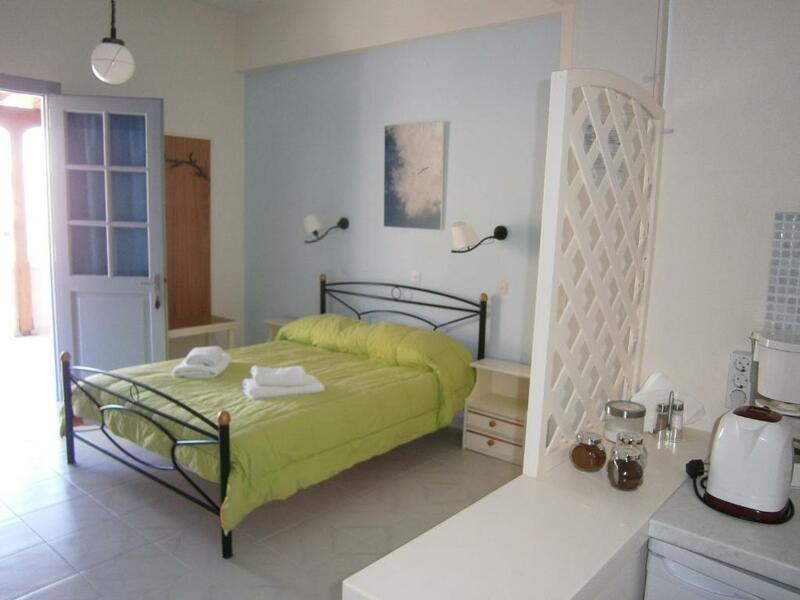 Located 1,950 feet away from the main port of Spetses and 500 feet from Kounoupitsa Beach, Theo features studios with free Wi-Fi. 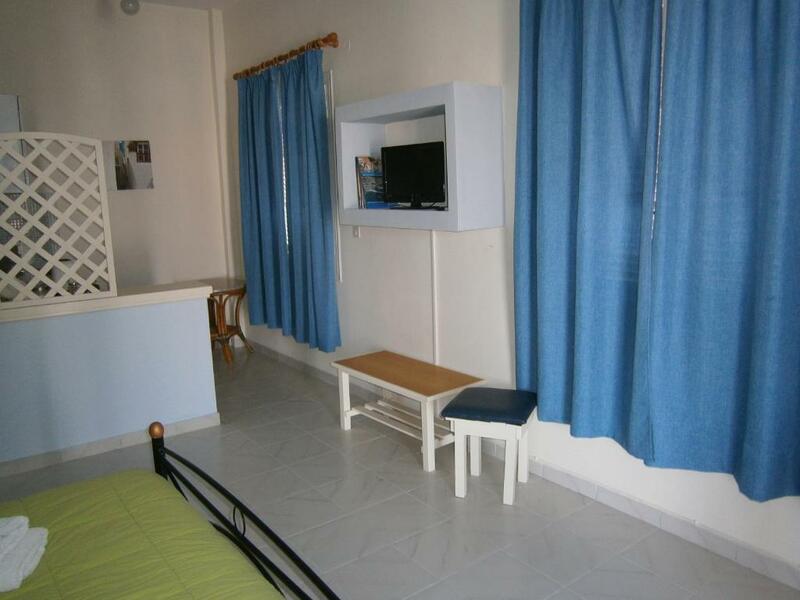 Opening to a balcony with sea or garden views, all air-conditioned Theo Studios come with equipped kitchenette, TV and bathroom with free toiletries. A super market and bakery store are approximately 650 feet away, while an organized beach lies within 150 feet. Free public parking is possible on site without reservation. When would you like to stay at Theo Studios? This sea-view studio opens to a balcony and a terrace. It comes with an iron, a mini fridge and a toaster. A coffee machine and a hairdryer are included. This studio has a balcony with garden view and a mini fridge. Toaster in the room is available. This studio features a spacious terrace and a balcony with sea view. A small oven, a refrigerator and toaster are available. A coffee machine and a hairdryer are included. 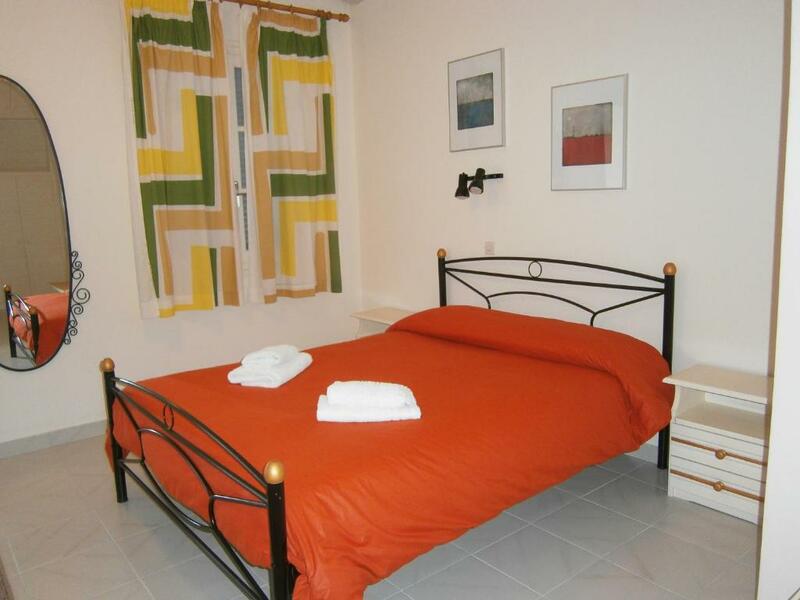 This room type contains one double bed and one bunk bed for two adults. This studio features a balcony with sea and mountain views, kitchenware and toaster. Opening to a 3 spacious patios, this holiday home offers sea views. House Rules Theo Studios takes special requests – add in the next step! Theo Studios accepts these cards and reserves the right to temporarily hold an amount prior to arrival. The internet was good while it was working but occasionally dropped out. This seemed to be an issue for the whole island rather than just Theo’s. The directions from booking.com were awful - sending us through the town looking for street names, but there were no signs. It is easy to find if you walk along the seafront for about 10 minutes, turn left at the sign for Theo studios and then follow arrows painted on the road. 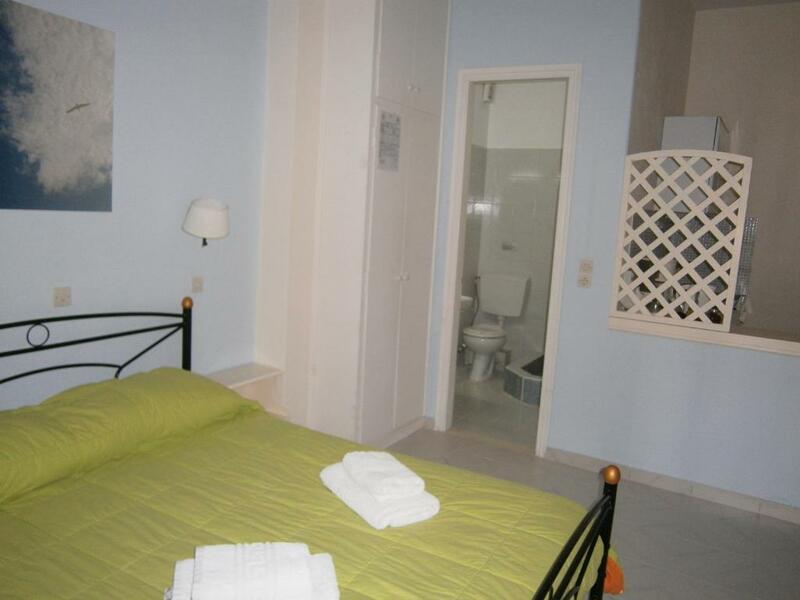 Nice, clean and quiet place just a short distance from the sea. Our host was very polite and supplied us daily with bottled water, fruit juice and little croissants without us asking for anything. These simple yet polite gestures made us feel very welcome. 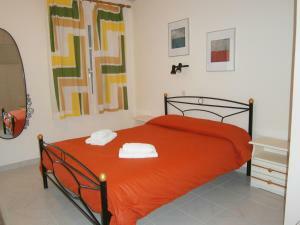 The studios were in a great location close to many restaurants and a short walk to the port. 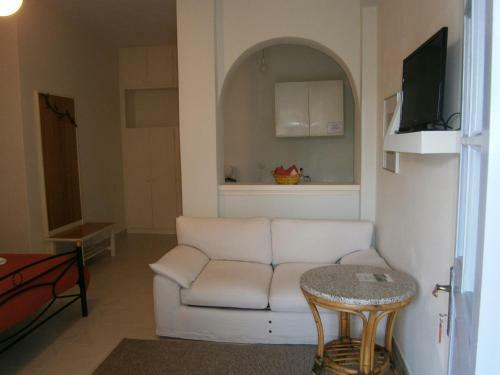 Lovely studio room with a balcony that had amazing sea views. Water, juice and some breakfast things were also provided. Spiros was so helpful and friendly and I am sure we will return to these studios. It was a bit out of the way and the neighbourhood wasn’t so nice. IT IS LOCATED IN A VERY QUIET AREA IT IS VERY CLEAN AND THE OWNER PROVIDES SNACKS AND BOTTLED WATER EVERY DAY INCLUDED IN THE PRICE. THERE ARE RESTAURANTS AND CLEAN BEACHES NEARBY. The owner is a person of exemplary politeness and professionalism! And so is all the staff! They were all very welcoming and accommodating. The room and all the facility was very clean, spacious and comfortable. Very close to the beach also. A host and a hotel not to be missed! Theo studios was the perfect stay in Spetses! So comfortable, spacious and clean! Spiros was so welcoming, he left snacks and water in the room every day. The location is superb, just a few minutes from town and the beach. Couldn’t ask for a better stay! It was difficult to find the first time. That we only stayed for 3 nights. Could have quite happily stayed at Theo's for the whole summer! Everything was great! Our studio was spacious, clean, comfortable and had plenty of storage. Tea, coffee, milk, cakes, croissants, juice, and water were supplied daily...also toiletries and mosquito tablets/machine. WiFi and A/C were both very good. We had a lovely terrace which had a beautiful sea view. Spiros and the lady that did the housekeeping, both do a fantastic job...thanks very much for everything! Nothing - it surpassed expectations. Convenient, clean, quiet, spacious balcony, well equipped, welcome pack. Short walk from the harbour, beach and restaurants.